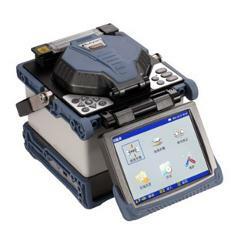 The FT-F600 is a state-of-the-art core alignment fusion splicer designed with reliability and efficiency in mind. Offering high magnification and dependable accuracy, it is perfect for onsite deployment, outside plant (OSP), and fiber to the subscriber (FTTX) splicing. At an average splice time of 9 seconds and an average heating time of 36 seconds, this highly efficient splicer will keep work times down and productivity up.